My parents have three kids - all girls. 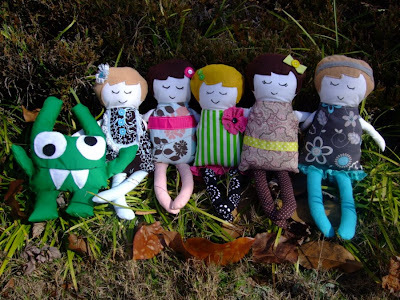 My parents have six grandkids - five girls and one boy. 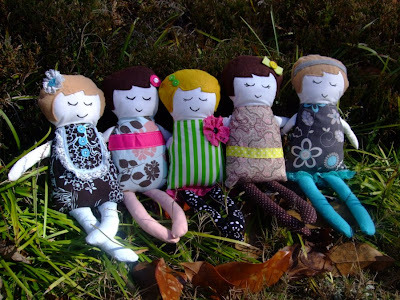 I decided to make Black Apple dolls for Christmas for my girls and their cousins. But what about the boy!? 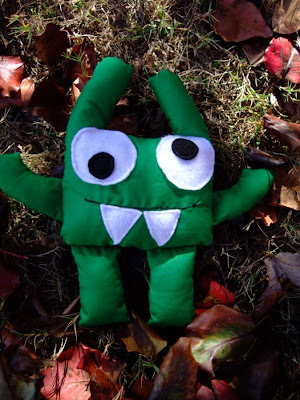 I looked at Etsy.com for inspiration and decided to make him a little, stuffed, green monster. I think he looks pretty content amongst all the girls, don't you?